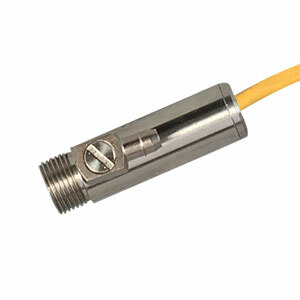 The OS36-3 Series is ideal for use in paint or ink environments which require the sensor to be mounted remotely from the target. In addition to the ruggedness and ease-of-use of the original OS36 Series, the new OS36-3 Series is hermetically sealed and is equipped with an internal air cool/purge system. As do all infrared thermocouples, this new series exceeds all applicable NEMA standards and is intrinsically safe when used with appropriate intrinsic safety barriers. †See chart for linear ranges. Measurement is practical beyond thermocouple table values by use of radiation laws. Polynomials available upon request.